Sometimes spaces seem to be stage sets designed by a mind far beyond mine in creativity. My work as a photographer has been to be a receiver of things, not a creator. Moments appear and I say Yes! This entry was posted in Evening light, Light, Stage set and tagged Bonnieux, Light, Night, street on December 23, 2015 by joelmeyerowitz2014. Maggie found this old, beautifully formed and crafted horse, and simply fell for the ‘presence’ it emanated. The life it had lived for some child, or maybe a number of children down the years. She bought it so it could continue living. 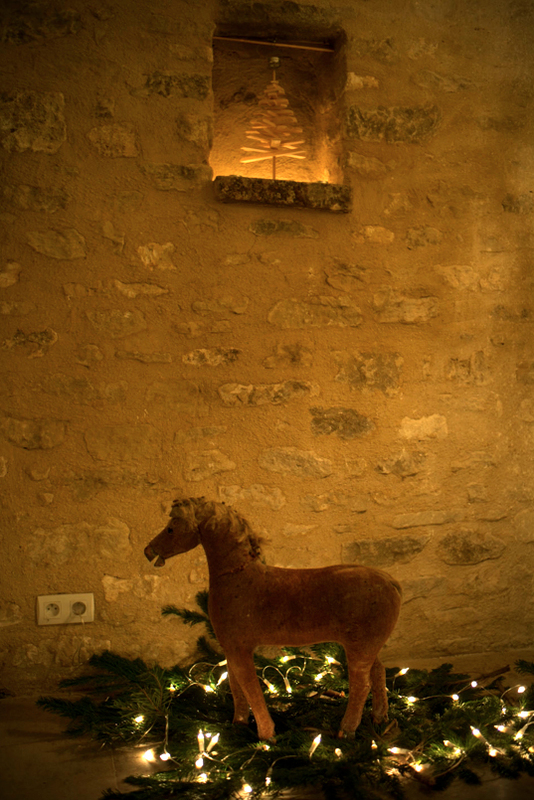 This entry was posted in Interior, Portrait and tagged Bonnieux, Horse, Interior, lights, Maggie, Night, portrait on December 19, 2015 by joelmeyerowitz2014. 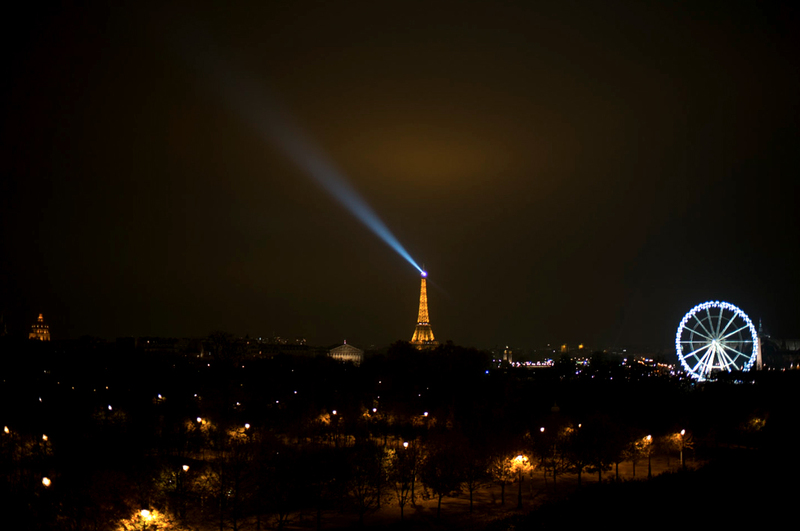 This entry was posted in Light and tagged Eiffel Tower, Light, Night, Paris on November 16, 2015 by joelmeyerowitz2014. Note: we were without internet for 2 days and it held up sending these 2 posts. Night is a great moment to step outside of where you live to look at where you live. It is different to see it at night. Another layer of mystery might be revealed about why any one of us chooses to live any where. So night time can tell us a lot about ourselves. Well…maybe. Around the back I came across the two chairs we sometimes sit or lie on. They sat in the last radiance of the day and seemed to glow. Chairs that I would never think of photographing, but how could I not in this light? 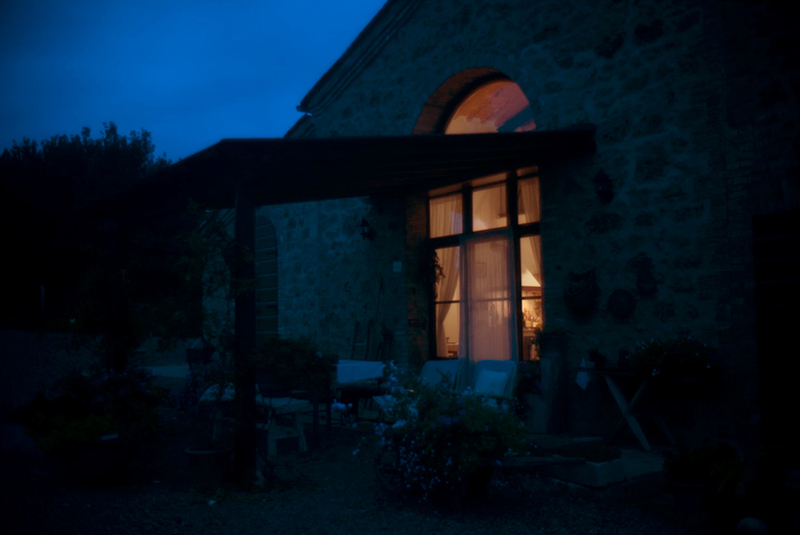 And the house itself, when I turned back to it, seemed so inviting that I found myself standing there, saying ‘who lives there?’ I was happy to remember that it was me. It was so simple and innocent and inviting, that I simply raised the camera to acknowledge the ordinary, but welcoming sight it has become. 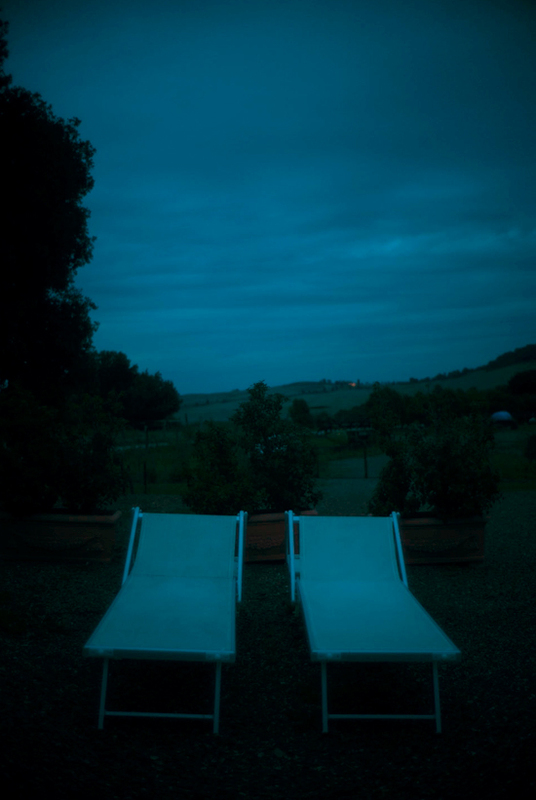 This entry was posted in Doorway, Evening light, Italy, Night and tagged Chairs, evening, lights, Night, window on October 5, 2015 by joelmeyerowitz2014. Not every day has interesting photographs in it. Some days it’s just a record of being alive and seeing something curious in a familiar place, even if it’s of minimal interest, like this street in the small town, Buonconvento where we live. During that week the town held its annual Sagra Festival, where all 4 quarters of the town cook for the whole town and any visitors who wish to come. On the last night of the festival they held a ‘fashion show’ in which the young kids paraded down the street trying to be glamourous. 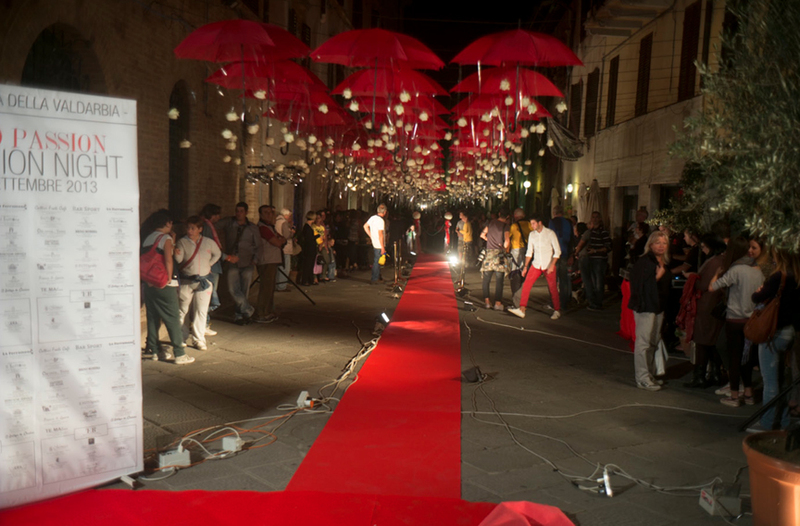 The town threw itself into the event and set up this ‘runway’ in the middle of the street. What appealed to me was the vision of modernity set inside a place built a 1000 years ago. 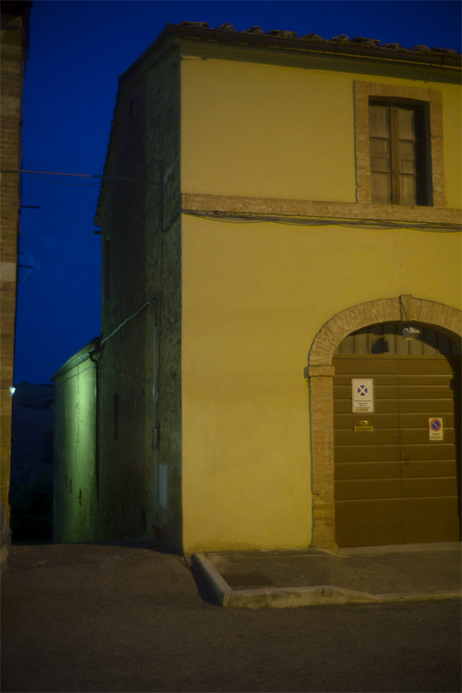 This entry was posted in Buonconvento, Night, Tuscany and tagged Buonconvento, Night, small town on September 27, 2015 by joelmeyerowitz2014. 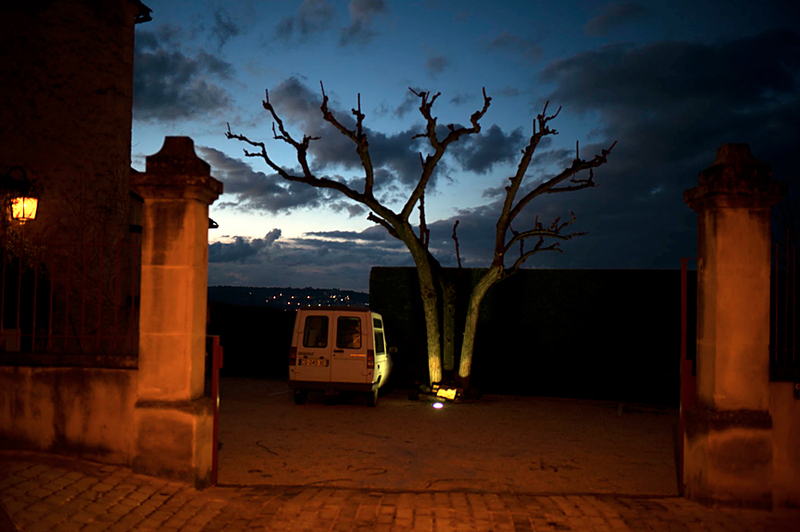 Night time, and the variety of color temperatures of street lighting, often make ordinary places into theatrical spaces. This back street in a tiny town took on a richness of color that made me go back after I walked past it, and take a real look. And we are all fortunate today in what the digital capacities of our cameras allow us to see and to render. But it’s the going back that counts. This entry was posted in Evening light, Sky, Street photography and tagged Light, Night, small town, street on August 9, 2015 by joelmeyerowitz2014. 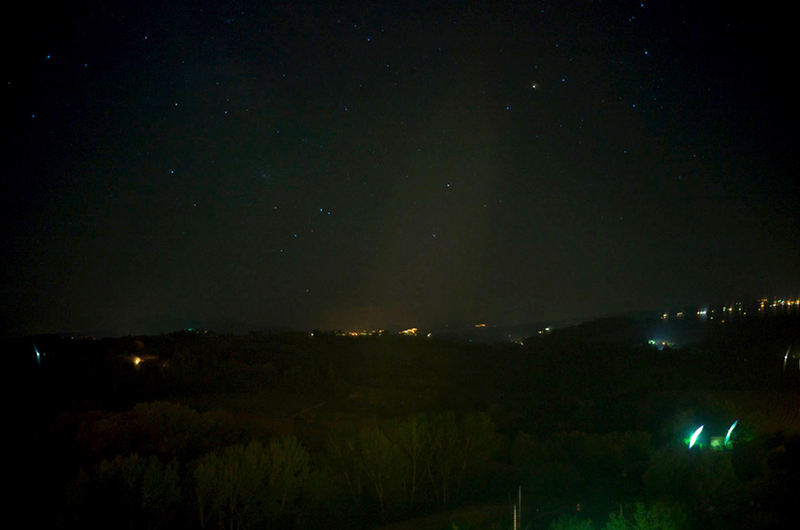 I have never been one who makes night sky images. Film was not so responsive for doing that, and more often than not it made pictures of streaks of starlight left behind by the rotation of the globe and the time it took to make the shot. But digital is different, and although this is no brilliant photograph it is a reminder of how easy it is to consider the new subjects that might come from looking at things freshly and seeing how they might relate to the heavens above. Reminders like that are important to thinking photographically. This entry was posted in Light, Night, Sky, Stars and tagged Night, sky, Stars on July 28, 2015 by joelmeyerowitz2014.